At Double R Rental, we specialize in quick propane sales and refills on Whidbey Island and surrounding communities. 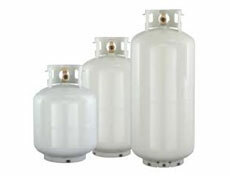 From portable BBQ grill tanks to larger RV tanks, we can get your propane filled and on your way. For all your propane refill needs in Langley, Washington, look no further than Double R Rental - call us today!